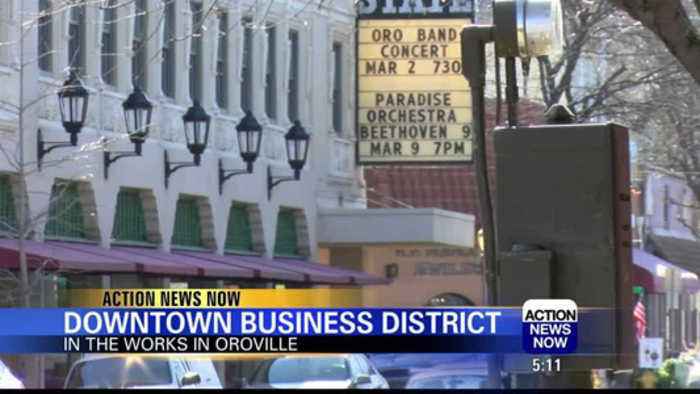 One News Page United Kingdom > News Videos > Changes ahead for Oroville downtown businesses? Changes ahead for Oroville downtown businesses? The "BID" has many business owners excited, though some are not happy about a mandatory improvement district. Alan alan big changes could be coming to oroville's downtown businesses. But not everyone is happy about them. Action news now's haley watt's breaks down what they are and who they affect. Pkg ll intro: nice and quiet - not exactly the sign of a thriving plan in the works to shake things up, not everyone's on owner "the last two years have been just down hill, down hill, down hill," robin zanon, business owner "we have a ton of customers that come to us specifically for just walk by? There's not a lot of foot traffic, and that's what we would love to see increase," owner in downtown oroville can agree on: business is slow. So when oroville inn owner bud tracey came up with an idea to revamp the image and boost traffic, many other store owners were thrilled. "it's like $20 a month and you can't hire an employee for that much to do the traffic downtown so when you think about the price that it is, it's so little compared to what we could really get," zannon. Owners would pay $50 to $300 a year to the business improvement district for things like marketing, events and new signs. Collect the fees and turn them over to the downtown business association - which will oversee the b-i-d. But some are ready to close up shop if this goes through. "the next thing i know everyone was on board, and i've tried to talk to them and tell them, i've seen people throw money at junk cars, it doesn't work," said andy suplita. Suplita says over the past 14 years, he's spent a lot of time and money, restriping parking spaces, hanging lights - and he prefers that to handing money over blindly. "sure there's some good people that want this town to be a lot nicer and it could be, but you're not going to get it by forcing your neighbor to give money, it's just un-american," said andy suplita. Right now most of city council and more than half of the downtown owners are on board. "it's kind of like bringing all your best parts together to work toward a common goal - we all want to see the downtown grow, traffic, and more peole and better businesses down here," said zanon. If council approves the plan, the bid will become mandatory business owners will pay in when they renew their license. In oroville hayley watts, action ## on cam tag alan alan city council will meet again in march to talk about the b-i-d.
More than $30 million changes are coming to the canopy at Fremont Street Experience, and the changes are not just a big deal for tourists. 13 Action News Anchor Nina Porciuncula spoke with some local..